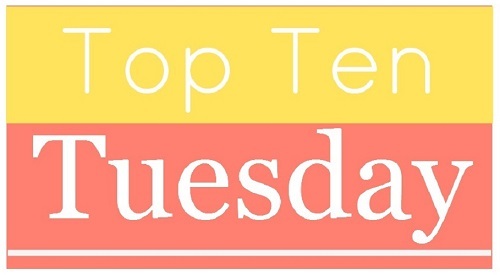 Today’s topic is a fun one: top ten books to read if your book club likes ___. I chose “series” to fill in the blank, mostly because the last book club I was in prohibited any series starters as book choices, heh. So here are some really great series starters that would make for lots of fun reading for many books to come! Which are some of your favorite series starters? Definitely some great books on this list! I need to check out Jonathan Stroud. I had him out from the library a long time ago, but that was as far as I got! I need to look at some of his other series!
. . . OK, now I have to write my own Top Ten blog post! Ooh, Poldark is a good on I forgot! I was really pleasantly surprised by The Cuckoo’s Calling, I couldn’t really see J. K. Rowling writing gritty adult mysteries, but I think she’s pulled it off really well. Agreed on Rowling. I’ve really come to like those books, which seem to get better as they progress. And Sanderson is just a favorite all the time! Great list of books, and varied in genre and such too. I’ve been meaning to read some of Tana French’s writing for the longest time now! She’s so much fun to read!